We are married!!!! Whooohooo! We can't quite believe it ourselves! It is so awesome! We realise that we need to do a HUGE post explaining what we did, where we did it and why. We promise we will give detailed love explanations from the venue to the dress to the wooden signage...! But for now we leave you with a few pictures that neatly sum up our lovely day. Oh and how much do we love Otto Schulze! Wow. Awesomeness abounds. He documented our day in his awesomely quiet & gentle way, even though he is a 6 foot, blond haired, blue-eyed giant. Our friend stays far away in Denver, Colorado, with his awesome wife Lindsey and their beautiful daughter Sammy. Otto flew all the way over here to be the best man/photographer and we miss him very much already. Luckily we will be visiting them next year for our 'official' honeymoon, when we will be road-tripping through the USA! We can't wait - we love these guys so much! 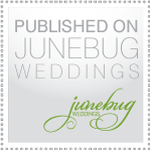 Please be sure to check out Otto's blog as well quickly pop by Colorado Wedding & Style to vote for Otto - he is most definitely Colorado's best Wedding Photographer! He is actually just a few votes short, so please head over there and click 'vote favourite' underneath Otto Schulze Photographers. Yay! Thank you so much for doing a great job Otto - we love you so much! Be sure to check back soon-soon for more love pictures! I've been following your blog for the longest time and literally holding my breath to see the photo, they are just magical absolutely beautiful from the vintage DIY touches to the beautiful bride & groom. Congratulations! I had to feature this on my blog today, your wedding looks incredible and the photos are amazing! Congratulations! thanks for the love, Kholisa! // Sailor Wedding on the Sarie Bruid COVER!